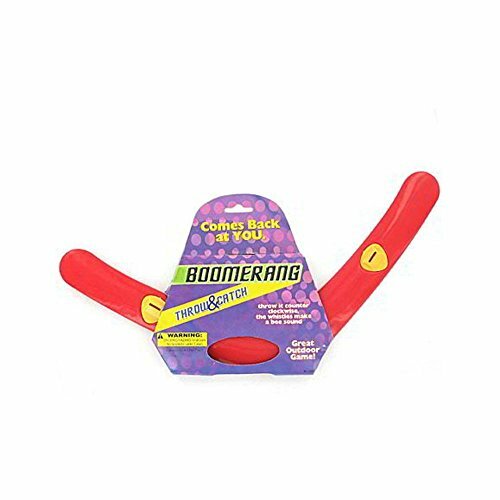 Give kids the gift of an old-fashioned toy with this bright red boomerang. Throw it counter clockwise, listen as it whistles like a bee, and then be ready to catch as it returns. Kids will delight in this fun outdoor game. Contains small parts and might not be suitable for children under the age of 3. Has a span of 15 1/4".